The German producer tells the story behind “Stay” with Alessia Cara, and how he feels about making “polarizing” music. If you were in close proximity to any working radio this summer, you probably heard Zedd and Alessia Cara’s vocoder-laced dance pop track “Stay” a couple of times — at least. The song ruled the radio charts this summer, having a long stay at No.1 over the warmer months, and peaked at No.7 on the Billboard Hot 100 in July. It’s a career best for the German DJ who made a name for himself in the EDM world a few years ago with his roller coaster-like drop remixes. The 28-year-old actually became an electronic producer after a career in his hometown’s death metal scene, which, he told The FADER over the phone from his home studio in L.A., he sees as his “greatest advantage” because it helped him develop a strong sense of melody. “Stay” is just the latest success in a long line of high-profile collaborations, including Hailee Steinfeld’s “Starving,” Ariana Grande’s “Break Free,” and a bunch of songs on Lady Gaga’s 2013 album ARTPOP. In July, he also dropped “Get Low” with ex-One Direction member Liam Payne, which should make a dent in the charts this fall. 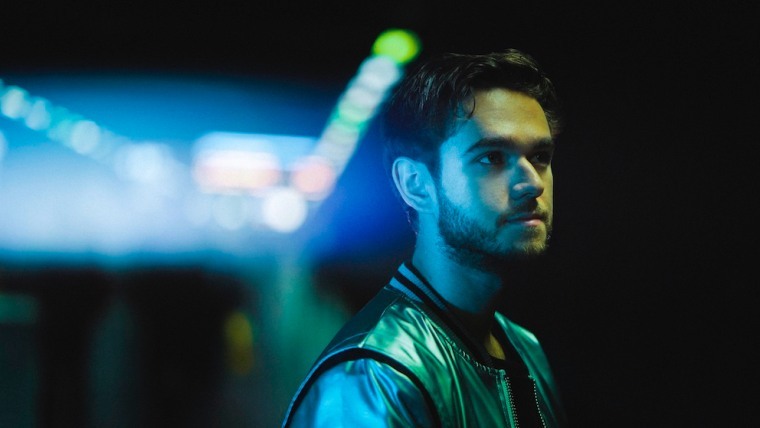 Zedd explained to The FADER how his song became a hit, what it was like to work on ARTPOP, and how he feels about making music he knows is extremely polarizing. When you were making “Stay,” was there a particular moment when you thought it was going to be a huge hit? There was actually when I was about halfway done with the song. In the back of my studio there's a couch which is a very bassy area, so if you listen loud it's like a club or wherever. I listened back and I had goosebumps immediately as soon as the pre-chorus hit. In my mind, I was thinking I wouldn't be the only person who thought it was very good. Did I think it would be as big as it got, I didn't think so. I was pretty happy to see it did get that big. It really was a sneaky hit of the summer, it was all over the charts. It didn't leave the charts! That was the crazy part. Even weeks before it hit No.1, we weren't sure if it was going to hit No.1. I was asking that question a lot. It stayed up there for six weeks and I don't think anyone expected that. Was making Top 40 music always the goal of yours? No. I made music for over eight years with my band and my brother and we've never been on the radio once. I don't even think we made a dollar. We had a tour bus and at the end of the tour everyone puts money together so you can cut your losses and everyone shares the losses. My goal was never to make music, my goal was to never have to do anything but music. When you grow up and you realize you can't live off passion, there is of course a moment where you think, Is there something else I should be doing? I started looking at universities, I wanted to be a teacher. Luckily everything worked out for me. I've never made music because I wanted to make money or be on top of the charts. I feel like with your earlier releases there were really ginormous drops. They seem to have mellowed out. Could you explain why? When I did that crazy complex music, I felt like I was ahead of the times and I was doing something new — that's also when I met Skrillex, we were both making that kind of music. Everyone started making that kind of music and that made it a little more boring for me. Also it's very difficult to make music that is only pointing towards one section of the song. Your song may be four or five minutes but everybody is skipping right to the drop. That makes the depth of the song somewhat shallow. That was fun for a while but at some point, it's like, What am I going to do now to impress people? When I discovered you can put vocals into your music that really carry a lot of emotion, that's just a level of music that I am more interested [in] again. There might be a time where I get bored and want to make crazy drops again — maybe I will start doing that at some point — but I am now making the music that brings me the most joy. You collaborated with Lady Gaga on her album ARTPOP. What was one lesson you learned from working with her? The main thing I took away was that you need to know your role in the chain of where you are in making music. I am used to being the artist and I always ask for opinions, people can tell me, “That's not the right drop, that's not going to work,” and I appreciate everybody's opinions but I'm the artist. 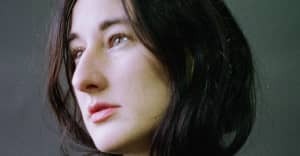 When you are a producer for an artist, then your job is not to say, “I don't care what you think,” “This is better,” or “This is worse,” your job is to make the fantasy of the artist a reality. No matter whether you think is right or wrong. Your job is to tailor to the way to the artist works. I was never in that situation before. That was my first big gig as a producer for another artist. The album is basically either considered genius or really bad. What do you think about the way the album was received? I knew it was polarizing from the beginning. That was part of the intention. I can understand why the reviews are the way they are, and honestly I get similar reviews about my own music. I also understand why they are the way they are. It's always important to remember that not everybody on this planet is a musician. People latch onto things they like — that could be a little sample in a song, or the intro, or a quick second of a song. The rest of the song could be garbage but they love how the little part makes them feel. You can say, “Ah, look at this other part, this is genius and you don't even notice it.” People don't care. Either they like it or they don't. Sometimes I make decisions in my music that people may not understand. Maybe I'm proud of the harmonic development of the song but people don't understand that and I can't be surprised when people don't like something. As a musician, if you're making songs to top the charts and that's your goal, then you should consider making your songs more simple, but you can't be surprised if the entire world doesn't like your songs. You brought up that your music is “polarizing.” On that same tip, what do you think is the biggest misconception people have about you? The biggest misconception is that I'm a DJ and I don't know what I'm doing. I still get that from people who don't know that much about me. Between releasing Clarity the album, and the song “Clarity” becoming a big hit, people were saying I became a sellout. They don't understand that I made “Clarity” about a year before it came out. When it came out, everybody loved it and then when it became a big hit, people said I was a sell out. That's a misconception people have because they don't understand music is made far ahead of when it's coming out. When things become hits, that doesn't change that it's a piece of art. People always point back to the thing you did before and say that that was you and the new thing isn't, and if you do the same thing, people say you're just copying yourself: “Why don't you try something new?” As an artist, it's important to not read what people say and do what you think is right.